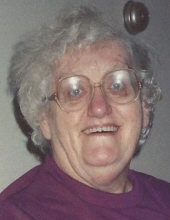 Mary Catherine Dunn, 95, a North Arlington resident since 1963, died Tuesday, February 5, 2019. Born in New York City on August 17, 1923 , she was raised in Jersey City where she attended St. Michael's Grammar School and Ferris High School . Mary worked for New York Bell/ Verizon in New York City for 34 years before retiring in 1981. Earlier, she worked for R.C.A. in Harrison. She was a member of the North Arlington Happy Seniors, the North Arlington Elk’s Lodge # 1992 and the Deborah Hospital Foundation. Mary loved her family, animals and children, and was one of the kindest people you could ever meet. She was the beloved daughter of the late Catherine ( nee Walsh ) and Peter Dunn; and the cherished sister of the late Thomas Peter Dunn. She is survived by the Medaska and Godfrey Families, her close friends and extended family for over 54 years. Funeral from the Parow Funeral Home 185 Ridge Rd., North Arlington on Monday, February 11th at 9 a.m. thence to Our Lady Queen of Peace Church, North Arlington for the Funeral Mass at 10 a.m. Entombment Holy Cross Chapel Mausoleum, North Arlington. Visitation will be held on Sunday from 2-4 p.m. at the funeral home. To send flowers or a remembrance gift to the family of Mary Catherine Dunn, please visit our Tribute Store. "Email Address" would like to share the life celebration of Mary Catherine Dunn. Click on the "link" to go to share a favorite memory or leave a condolence message for the family.